I have a lot of people who ask me "Do these colours go?" "Are you sure these colours match?" We've all been there. Infact, I think it's one of the reasons I originally liked darker clothes- all dark colours match no matter what. The problem of coordinating colours used to be for mostly women. Now that men have hopped on the colour train, ( I mean bold, solid colours rather than neutral tones) it has made dressing up , for males, a bit more complicated. I still hear people say "Can you imagine? That guy was wearing pink!" But that's a story for another day. On this day, we'll be discussing what colours go with what and what colours don't match- colour coordination (By "discussing" I mean that this is a conversation and I'll love to hear your say). 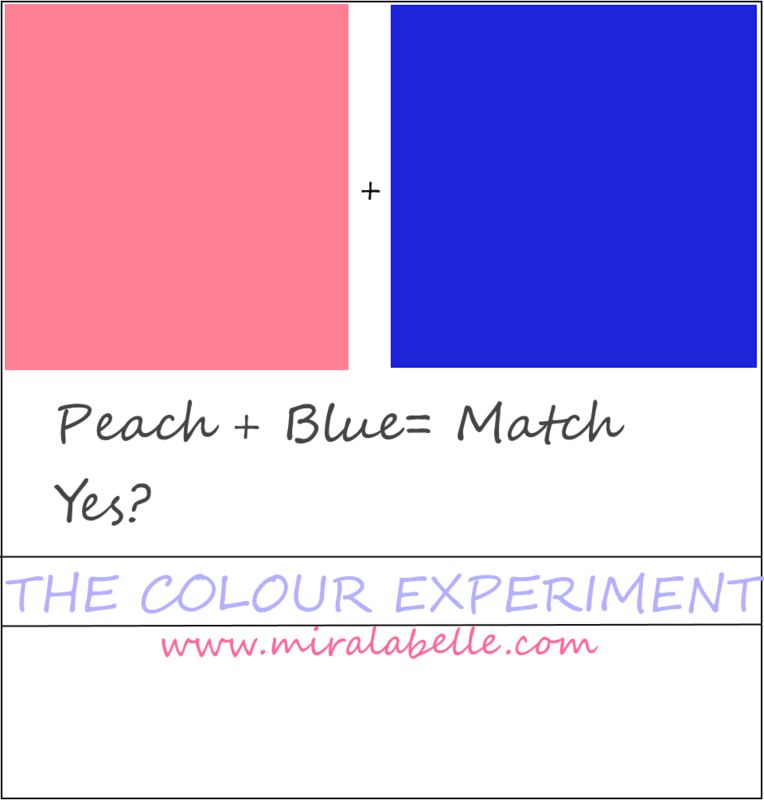 There have been so many methods of determining what colours match and don't. I have seen so many colour charts and colour-coding formulas that make me end up getting confused. To be truly able to combine colours easily, one must understand three aspects of colour- "hue", "saturation" and "value" (HSV). Now, I'm sure you're thinking "Huh?" or "What has this got to do with me?" or "All I wanted was to know what colours match". Well, I'll try and run through it quickly but I really think its important to get the basics down. Hue: The characteristic related to the light frequency that appears in the colour, e.g., red, yellow, green, blue, cyan, magenta. 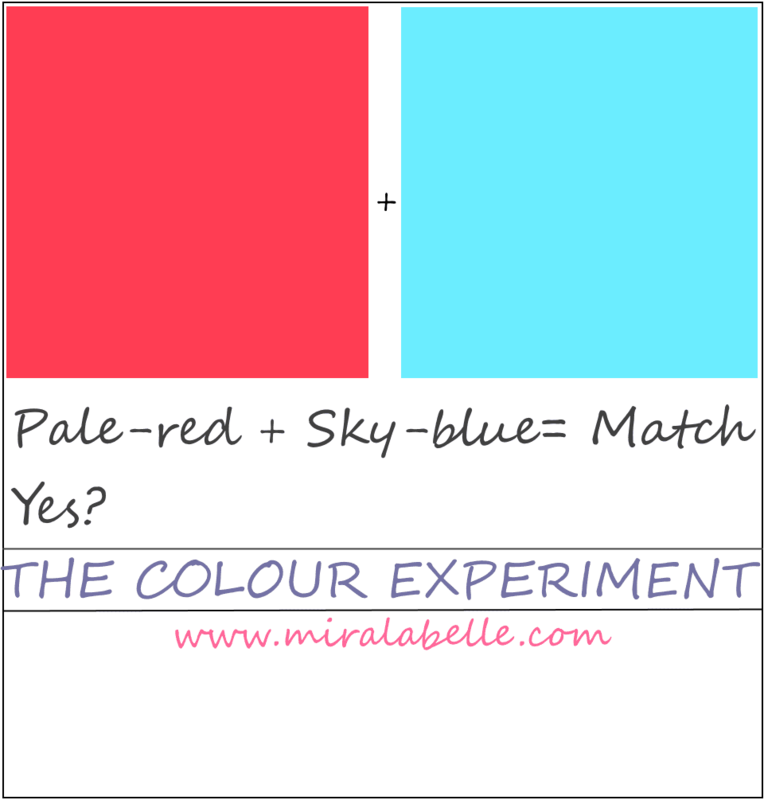 This basically means that the hue of a colour is based on light. This is where the warmness and coolness of a colour comes in- red could be cool or warm depending on the light. More commonly, colours like blue and green are known as cool colours and yellow, red and orange, as warm colours. Saturation: The intensity or vividness of a colour. I think that's pretty clear. Vividness means bright, intense, strikingly alive, powerful, full of life, etc. Value or Lightness: The relative darkness or lightness of a colour. Hue gives you the colour- ROYGBIV. Red, Orange, Yellow are warm colours and transit into cooler colours- Green, Blue, Indigo & Violet. Saturation and value/lightness bring about "shades of colours". That's why we have royal blue- dark intense blue, sky blue- light less intense blue, navy blue- darker less intense blue, etc. The degree of darkness varies, of course. Dark colours always match because there is no blinding contrast in lightness and saturation. Now that that's done, I hope you understand what I mean by warm, cool, dark, bright, intense and less intense colours. Yes? Cool! As mentioned before, all dark colours go together. Think of any three dark colours and combine them in your head... I already know the answer- they match. The contrast will make a beautiful match. Again, as above, imagine a dark and a bright colour together. Of course they match. A cool colour will always match a warm colour in a less intense shade. Warm colours always match provided one is in a darker or less intense shade. Shades of a colour always match. Now to the fun part! 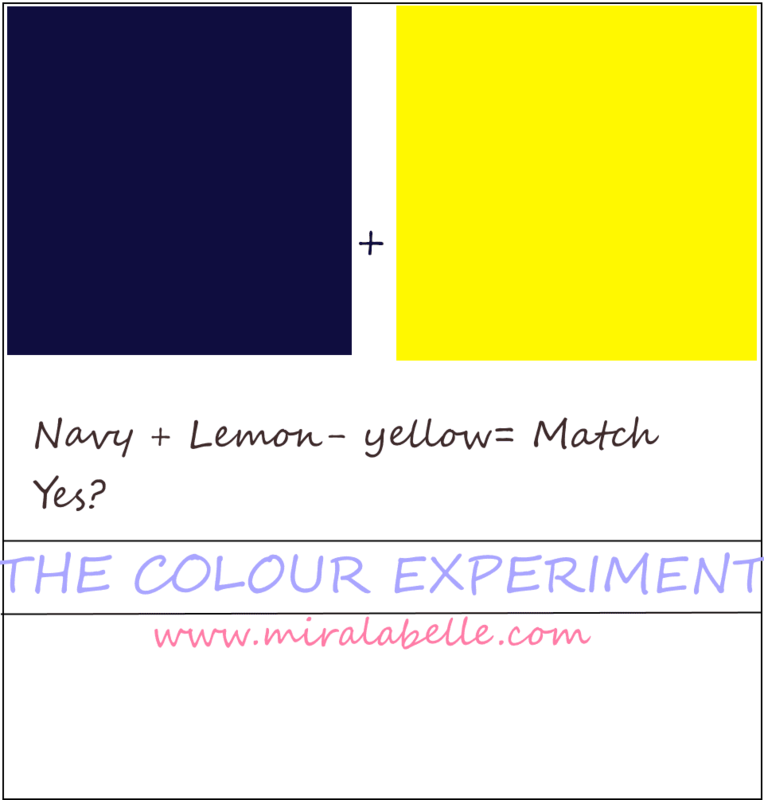 We'll put the observations to the test: THE COLOUR EXPERIMENT! 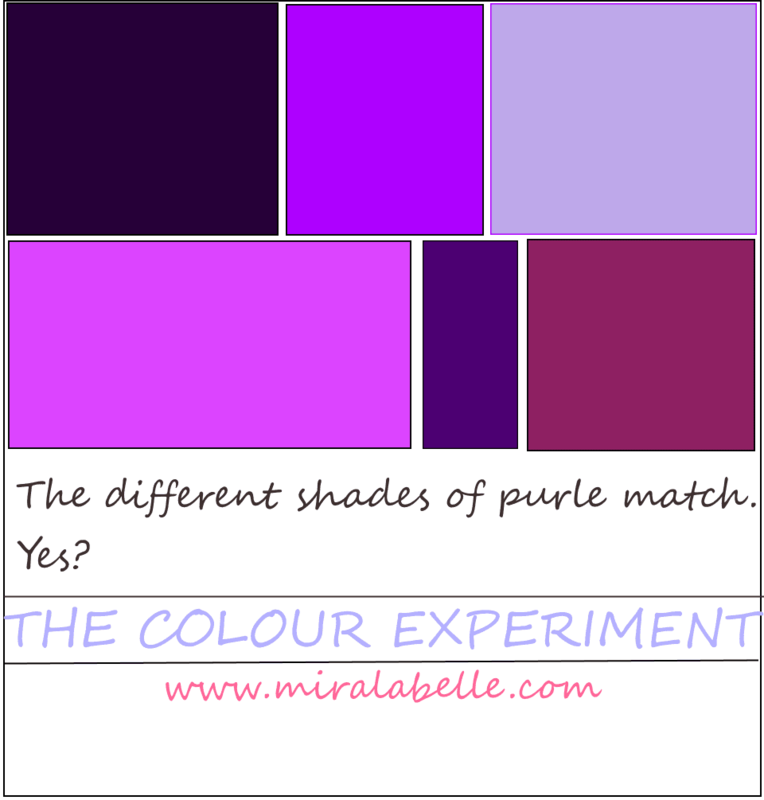 We'll be using different shades of colours with graphics I created. I hope this makes things clearer. I'm sure when you think of dark colours, the first colours that pop into your mind are brown and black. Yes? Thought so. 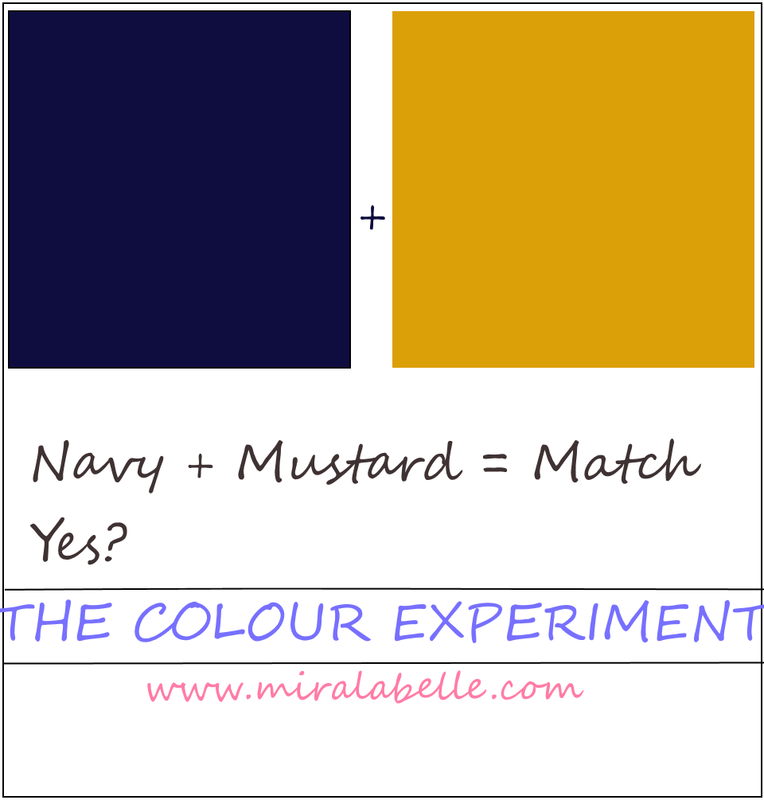 Turns out Mustard is dark yellow and Navy blue is dark cool blue. 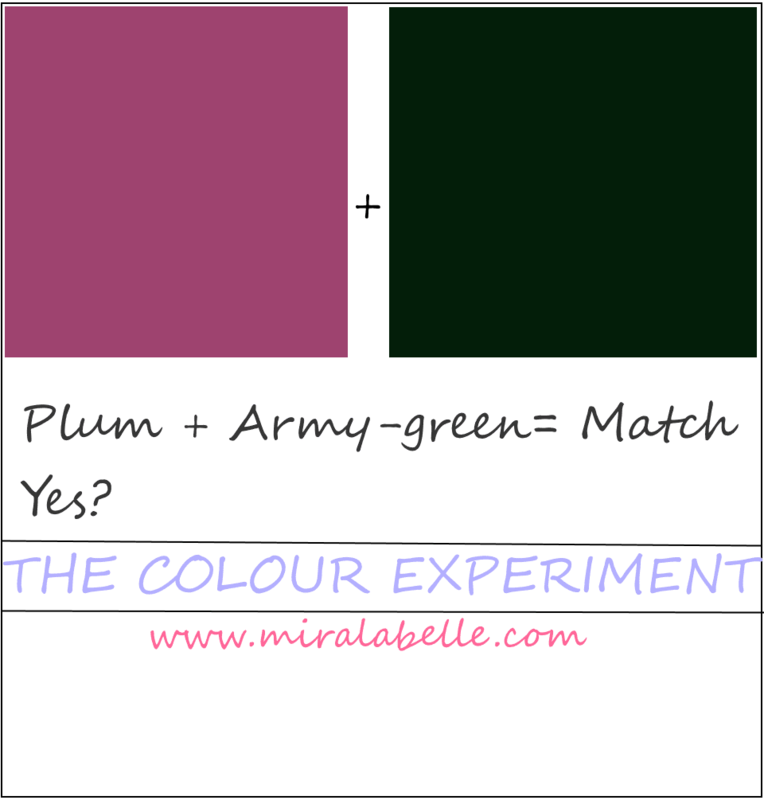 Army-green and plum also match beautifully, I would say. I achieved this plum colour in my app by reducing the lightness of candy pink. So we could say this plum is dark candy pink. Do you think these colours match? As stated before, the colour contrast really works in this case. It's one of the reasons black and white look so good together. What do you think? Can you tell which are the warm colours? The peach and pale-red of course! It didn't quite match well with the blue until I reduced the intensity, It was overwhelming. Now, the pale-red might in fact look like pink (pink is red + white after all) but I assure you, it's a less intense red. Think of it as watermelon-red. Don't the colours match? Warm colours match provided that one is darker or less intense. 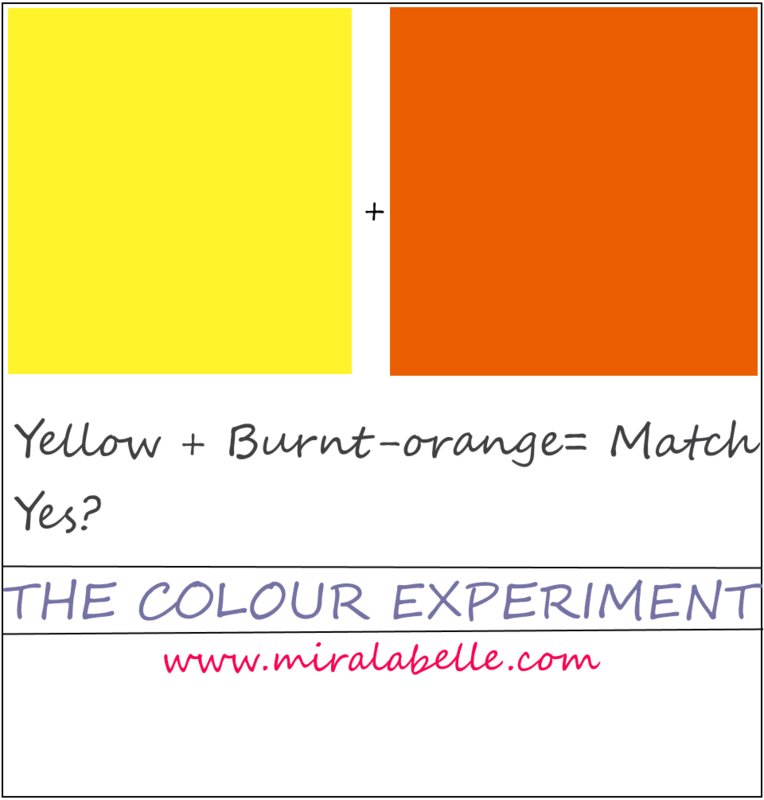 It can be seen that the orange is darker and therefore, the two colours go. Imagine the orange in a lighter and/or more intense shade. *shivers* We wouldn't want to give anyone a headache. I had to somehow bring purple into this discussion. It is my favourite colour after all. The shades of a colour will always match. It is the same colour, the same hue. Why wouldn't they match? Now that the observations have been confirmed, (yay for me if you agree!) We could call it a theory. Which brings us to the formulae. The jacket is navy-blue. Honest! The blouse generally has this crinkled look. I honestly ironed it several times. Oh well. Of course, there are always exceptions to every rule but colour coordinating your outfit is quite simple if you keep these colour coding tips in mind. In truth, this is all very stressful and limited. Fashion is meant to be free-styled, fun and an expression of who you are. Most of the best inventions in life were discovered by accident so experiment and wear what suits you. My general rule in fashion is this- if it looks good to you and you feel comfortable, damn all the rules, do's & don't's, just do you. There are some times, though, that one is in a fix. I would recommend these formulae to fix you up. They're proven and tested by yours truly ;) I personally prefer prints and patterns. Holla if you want a post on that. Watch out out for the next post where I'll be writing on how to incorporate colour play into your outfits which will feature putting all this knowledge into practical use. Are you looking forward to it? Was this post helpful? 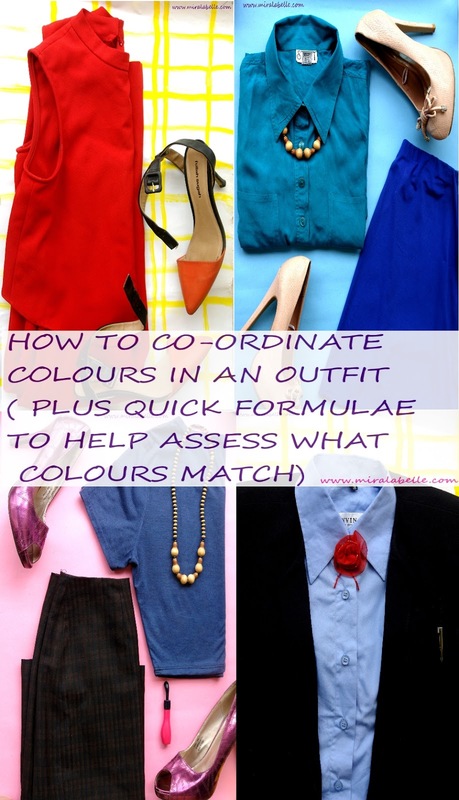 How do you colour co-ordinate your outfit? Any questions, suggestions and/or corrections? Leave a link, let me know in the comments, I'd love to hear from you. -Still on the green hair trend; hairstyles you'll love. -Negative space nails; you'll love this manicure trend. Hello, I really like your blog. Nice job dear. Little observation, you don't really have a post about lipsticks. I think people would also like that too. Thumbs up honey. Very useful tips. Thanks for sharing..
You're welcome! And thanks for stopping by. Thanks for the lessons Ijenna, and it was nice meeting you on Saturday. I sure would be learning lessons from you. Likewise! And I you. 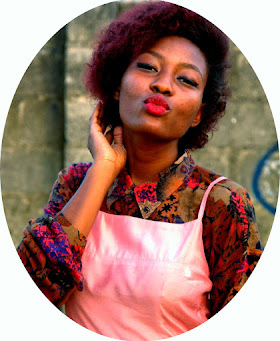 I like frugal fashion and will sure be putting your tips to use. Love the name of your blog by the way. Thanks for stopping by. Very useful tips sister! wow i didn't know half of those colours existed! You make fashion look easy! Thank you so much! I'm glad the post was helpful. 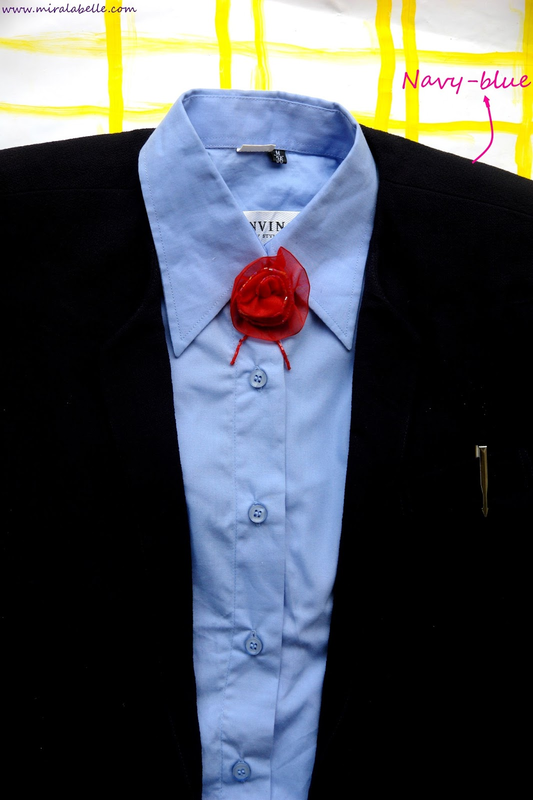 colours play a key part in fashion. Great! It did not leave me confused! Www.faithehisaigbator. wordpress.com... would love ur suggestions on it.